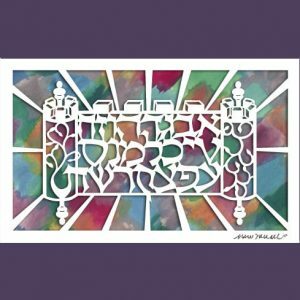 Categories: Bar and Bat Mitzva Gifts, Gifts for Community Leaders, Gifts for the Jewish Home, Gifts for the Professional, Great Gifts for the Holidays!, Jewish Children's Gifts. 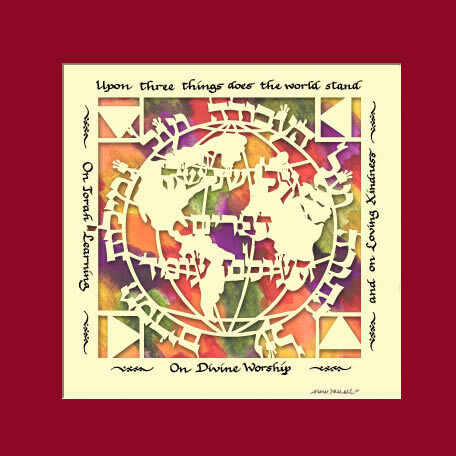 Tags: engagement, housewarming, Jewish Gifts, Jewish Wedding Gift, Judaica, Judaica artwork, Shimon HaTzadik, Upon three things, Upon Three Things Does the World Stand. 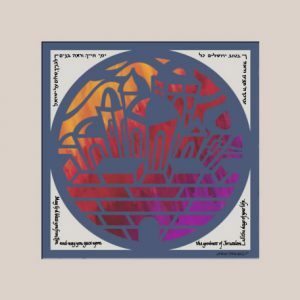 This boldly rendered papercut presents the famous statement that was taught by Shimon HaTzadik, one of the last remaining members of the Anshei Knesset Hagdolah (Men of the Great Assembly). It appears in Pirkei Avot (Ethics of our Fathers): Chapter 1, Mishna 2. 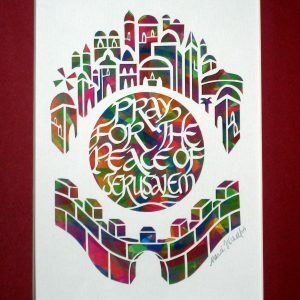 “He used to say: Upon three things does the world stand. 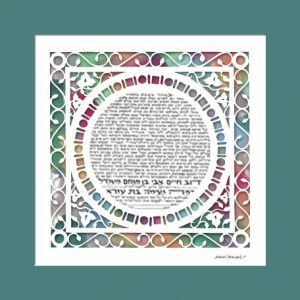 On Torah, on Service of G-d, and on deeds of kindness.” Consider this as an engagement, housewarming, Jewish wedding gift or for any time when Judaica artwork would be appropriate.